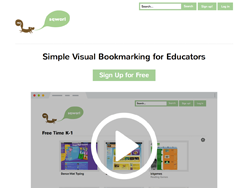 Sqworl (http://sqworl.com) is a visual bookmarking site popular with elementary and middle school educators. The service launched in 2008, we currently have over 60,000 registered users and growing. Sqworl operates on a freemium model. Free accounts have a single safe and relevant ad on the page while premium accounts remove ads, allow for private groups and provides premium technical support. Otter (http://useotter.com) is a simple single-page website for educators. 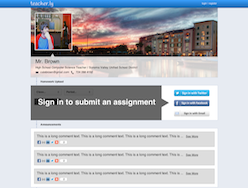 Instructors can add simple widgets to their page including Homework Upload, Classroom Announcements, Downloads, Classroom Calendar and more. 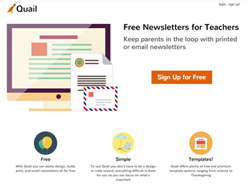 Quail will allow teachers to easily design and send physical and digital newsletters. This project is currently in development and will be a wonderful addition to the Scurry Lab family of products very soon. © Scurry Labs — All Rights Reserved.